When Snapchat launched in September of 2011, it was an instant success. The app offered what other social media platforms did not: disappearing content. Rather than clogging up an Instagram feed or Facebook timeline, you could send photos and videos to friends that appeared for a chosen number of seconds then vanished for good. Naturally, this led to the app being used to swap a fair share of inappropriate snaps—the kind of content you’d like visible for a maximum of eight seconds and not a millisecond more. But for more wholesome sharing, users could take advantage of Snapchat’s story feature, where content stays visible on your profile for 24 hours before expiring. This is to say nothing of Snapchat’s popular plethora of filters, allowing you to take selfies with the addition of dog ears, flower halos, and the like. So Snapchat burst onto the scene and hugely changed the game. But according to TechCrunch, the app suffered a recent drop in growth—by a rather staggering 82%. The culprit? Instagram, which launched its own story feature just over a year ago. 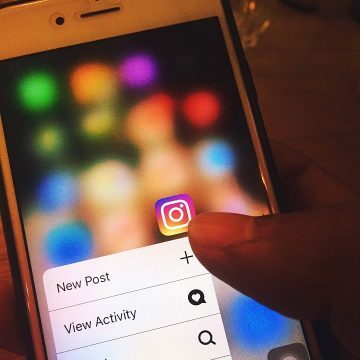 After some initial backlash (well-earned, some would argue, since Instagram Stories is nearly a carbon copy of Snapchat’s feature), Instagram fiercely wrenched back any social media dominance that had been slipping from its grip, quickly making Snapchat all but irrelevant. Combining the ability to upload temporary content, save select content for future use, and still add permanent content to a profile, Instagram took the only leverage Snapchat had for its own. According to a recent Entrepreneur.com article, over 200 million people now use Instagram Stories every month. At that rate of growth, half of all Instagram users will be using the feature by the end of 2018. Facebook has also incorporated stories, including on its Messenger app, so ephemeral content is now an option all over the place. In addition to posting stories, one can live-stream content on both Instagram and Facebook. ‘Going live’ on these platforms has allowed for unprecedented social media access to the people—and brands—users are interested in. With this upswing in temporary sharing, social media marketing can (and should) operate differently. Going live allows companies to engage with customers more than ever before: users can participate by commenting on live streams in real time, and the streamer can read and respond. Users are growing to expect content that gets refreshed every 24 hours, so companies have new chances to drive engagement on a daily basis, in addition to committing to permanent posts. A Cornell research study on Snapchat found that users enjoyed the casual and fun nature of the app. There’s a less formal, more authentic vibe to ephemeral content, making it more interesting and trustworthy for potential customers. The ability to include filters, stickers, text, tags, and other flashy additions in your posts means you’re free to be more creative with your content. Perhaps best of all, if a marketing attempt falls flat, it will be but a distant memory the next day. Stories are still evolving, but they’re definitely here to stay. It’s time to dive into the world of temporary content that packs a punch.